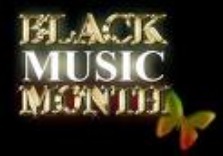 This month, Black Music Month, is as profound to the African America Diaspora as Black History Month. We are the inventors and creators of sounds that changed world cultures. If we were to begin way back in the cradle of civilization centuries ago it all began with the drum. When we were captured and brought to the so-called New World we brought with us the rhythms that dictate our souls. It is a fact that African American people are responsible for the great music known as Jazz, Gospel, Blues, Soul, R&B, Rap, Hip Hop, and just about every musical sound we hear that featured and directly speak to the glorious past. During the despicable era of slavery and segregation prior to the Civil Rights Movement the hallowing sounds of gospel music delivered an in-your-face sound that fed the souls of a people and that outlet produced some of the most timeless music ever created. Before I go further, let’s remember that it was Michael Jackson whose music video was the first black music to air on MTV. This brings me to historic and game-changing record label – Motown and its founder Mr. Barry Gordy. Let’s be honest, can you imagine a world without The “Motown Sound”. For many who don’t know or have forgotten, prior to Motown Records rarely did you see the face of an African American on the cover of an album or black music heard on white radio. The music we enjoyed was called “race music” and it was segregated in the same way America was prior to 1959, when Motown was founded. Prior to Motown Records few black performers enjoyed anything close to crossover success. By the way, an album is what was used to play music before CD’s. Motown was the first record label owned by an African American to primarily feature African-American artists and its soul-based subsidiaries were the most successful proponents of what came to be known as The Motown Sound, which was a style of soul music with a distinct influence. From its Hitsville U.S.A building on 2648 West Grand Boulevard, Detroit, Michigan that served as Motown’s headquarters produced the most universally recognized stable of songwriters and performers of our time or anytime. The music produced by Motown made a nation of people living in this nation without a nationality proud with its awe-inspiring run of hits that spoke to the essence of our souls. Form a tiny little basement studio we were introduced to Michael Jackson, the Supremes, Diana Ross, Smokey Robinson, the Miracles, Mary Wells, Marvin Gaye, the Temptations, Four Tops, the Commodores, Lionel Richie, Stevie Wonder, Jr. Walker and the All Stars, David Ruffin, Eddie Kendricks, Gladys Knight and the Pips, Rick James, Nick Ashford and Valerie Simpson, Teena Marie, DeBarge, the Jackson Five, Martha and the Vandellas, the Marvelettes and Motown’s Funk Brothers studio band; just to name a few of the artists that graced our souls and touched our hearts making us proud. Many of Motown’s best-known hits were written by Smokey Robinson, Barrett Strong, Norman Whitfield and the songwriting trio of Holland-Dozier-Holland who became major forces in the music industry. For example, it’s a known fact in the music industry that in order to get a number one hit song someone would have to write more than thirty songs. Holland-Dozier-Holland had a string of more than fifty hits in a row with some becoming number one with several different artists like the hit “I heard it through the Grapevine”. This is profound and will never happen again. No songwriter will ever achieve this feat – guaranteed. Although Mr. Gordy sold Motown and it’s now in the hands of others its legacy resides in a very special place in my heart. I’m sure with you and millions around the world as well. So again I say, thank you Motown for the music, the love, the magic, and the many great memories.